I thought I would combine a couple things in this post. First off Hanson Mechanical would like to welcome our new technician, John Still. John has 35 years experience in automotive repair. 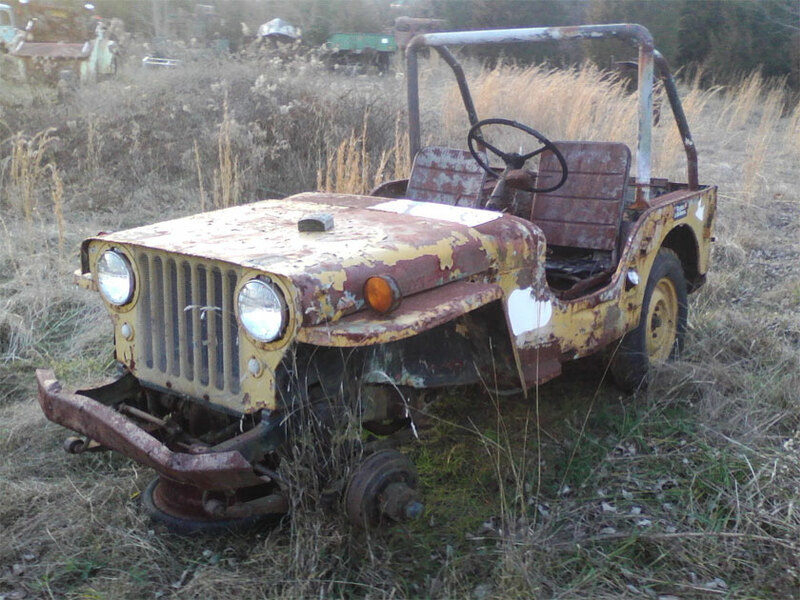 John began his career at AMC Jeep. His skills extend from frame welding to wiring to custom engine and driveline design and building. His work is thorough and he believes what we believe; that a job should be done right or not at all. Welcome John!! 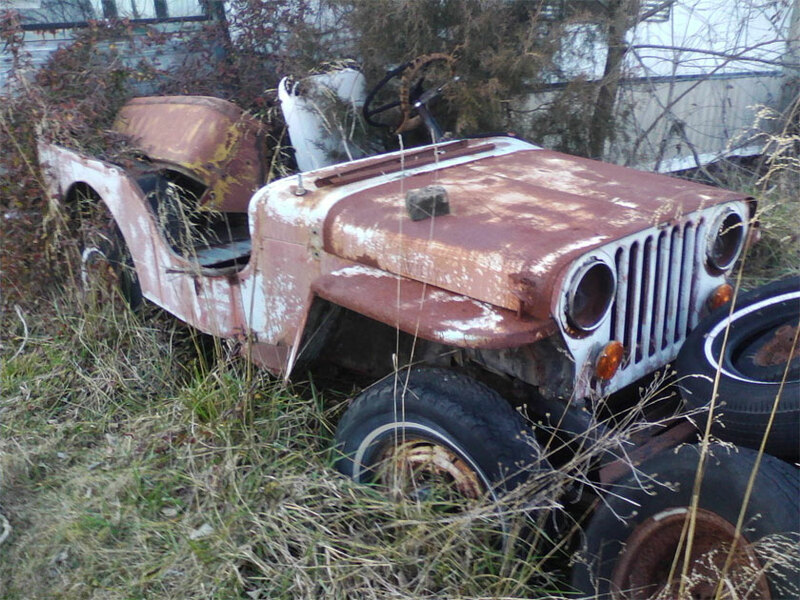 Now for some pictures of free range Jeeps. 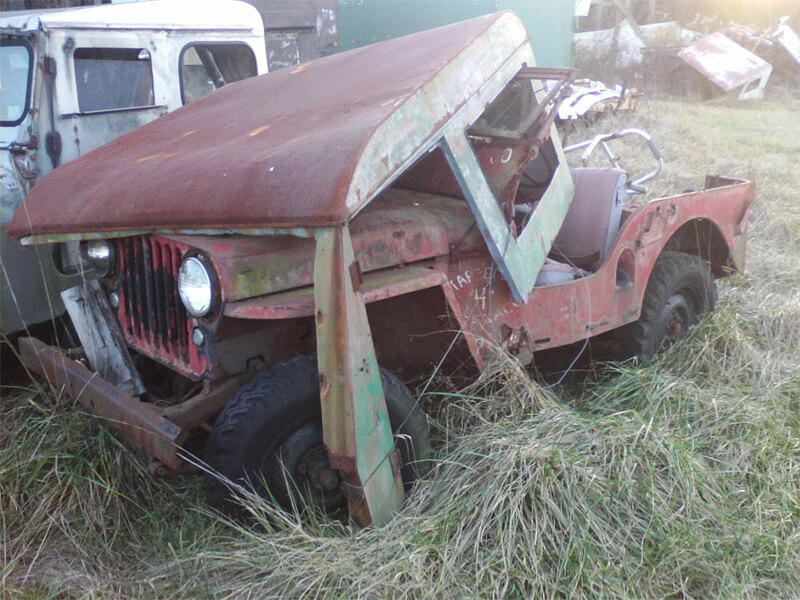 The owner is looking for scrap value on these 1940’s CJs (around $400 to $500 apiece). A couple of them have rather nice bodies and frames. They do not have titles or drivelines but those issues can be remedied. 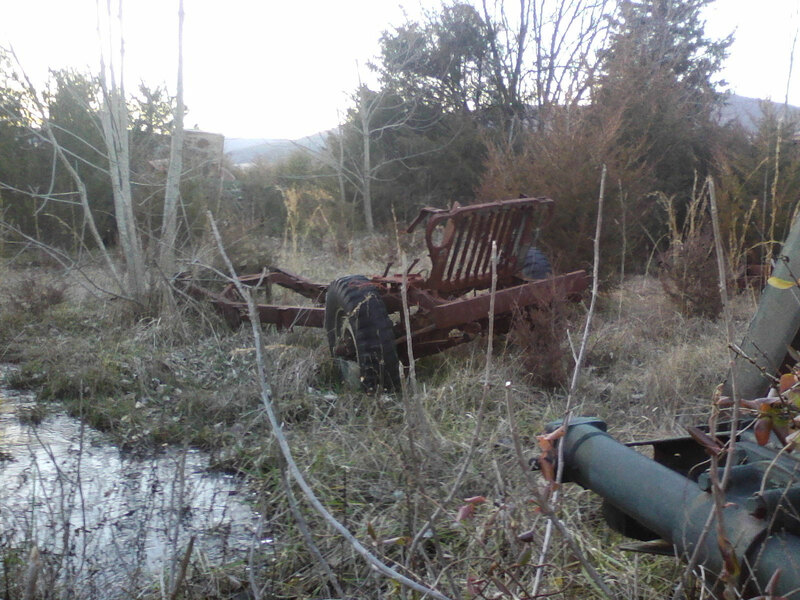 This first one is very solid and I keep thinking of combining it with a wreck I found that has a good engine and trans. This second one is a very early CJ2A. Sadly it has a huge amount of diamondplate on it and I do not know if it is worth saving. This last one seems pretty solid and complete. If anyone is interested in one of these please contact me and we can make arrangements. 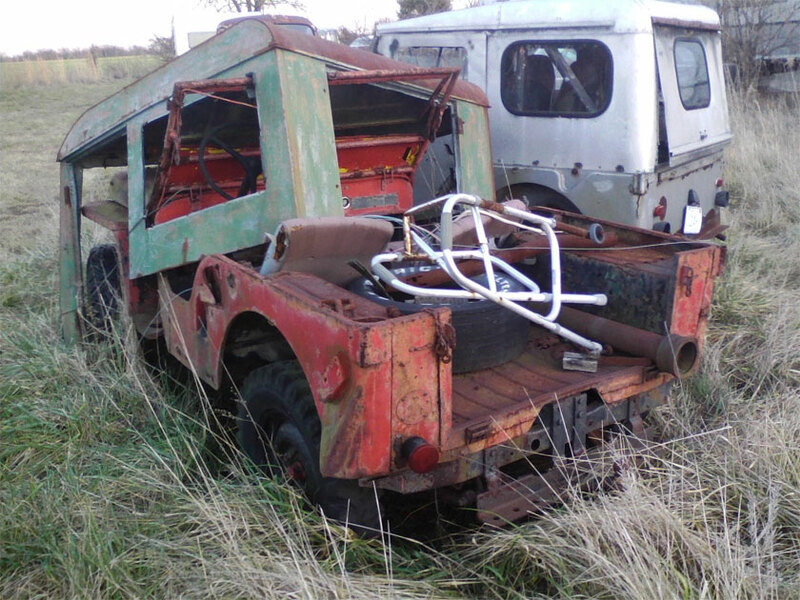 The last photo here is the remains of a WW2 Jeep. It torments me but looks rather cool sitting out in the brush. Spring is around the corner, the roads will soon be salt free. Bring your Jeeps in for that spring tuneup or other work you have been postponing. John loves Jeeps and will get yours in tip top shape.